The first documented recipe for chile con carne (chile peppers with meat), is in an account dated September 2, 1519, by Bernal Diaz de Castillo, one of Hernan de Cortez’s captains, titled The Discovery and Conquest of Mexico. He reports that the Cholulan Indians, allies of the Aztecs, were so confident they would triumph in a battle against the conquistadors the next day that they “had already prepared cauldrons of tomatoes, salt and chiles” in anticipation of a victory feast. That was the chile; the carne apparently was to be provided by the bodies of the vanquished conquistadors. Cholulans did not rely on chili powder; there was and is no such thing as packaged chili powder in Mexico. 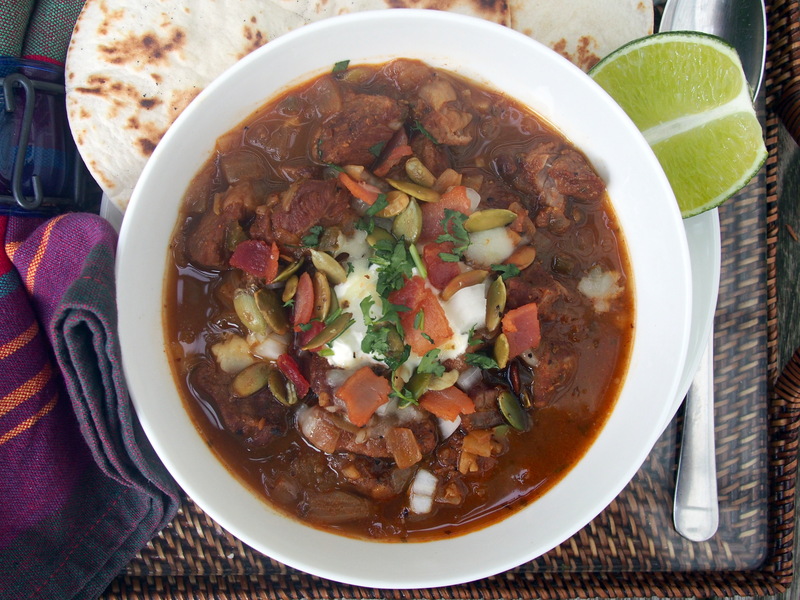 Chili as we know it originated north of the border, where some writers credit Canary Islanders, who arrived in San Antonio, Texas as early as the 1730s, with first bringing cumin, an essential chili spice, to the United States and using it to create dishes that combined peppers and onions with beef. (The Canary Islands, while geographically part of the African continent, are legally recognized as part of Spain. During the Spanish Empire, they were the main stopover for Spanish galleons enroute to America because of the favorable easterly winds. There were several waves of Canary Islander immigration to the Americas; Islanders also are credited with bringing the basics of creole cuisine to St. Bernard Parish, Louisiana, southeast of New Orleans, in the 1780s). 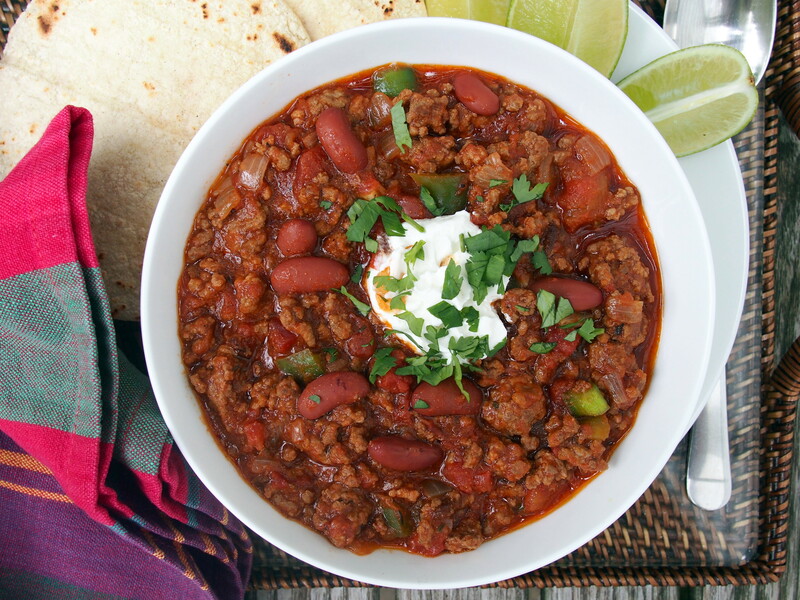 In any event, chili has been part of American culinary tradition since at least the 1820s, when cowboys and chuck wagon cooks in the San Antonio area made cheap cuts of meat palatable by simmering cubed beef with chili peppers and spices. Dried beef, suet, dried chiles and salt were sometimes pounded together and the resulting mash was formed into bricks and dried. The bricks were easily transported and could be boiled along the trail. Some accounts describe cowboys planting oregano, chiles and onion along routinely traveled trails in patches of mesquite to prevent cattle from grazing on them. 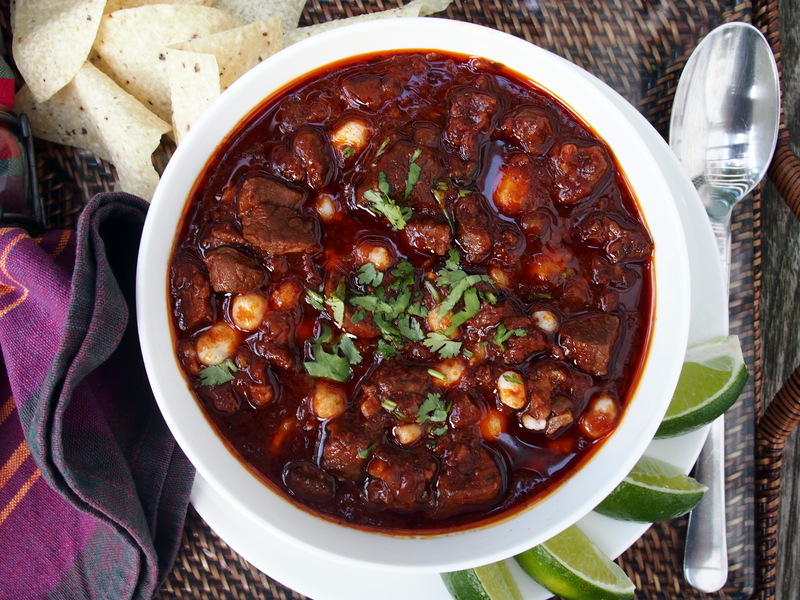 As the herds moved, cowboys would harvest the crops and combine them with beef to create “trail drive chili.” Chili followed the cattle to market in Chicago, where northerners discovered it at the San Antonio Chili Stand during the 1893 Chicago World’s Fair. American chili powders are a blend of spices: eighty percent chili and the rest cumin, oregano, garlic powder, salt, and sometimes even cloves or allspice. They’re usually not that hot; the warmth comes from fresh chiles or cayenne added as the chili cooks. In Texas, chili powder, not tomatoes, adds color to the traditional “bowl of red.” But some chili recipes don’t call for chili powder at all. Rather, canned or dried chiles are pureed in a blender, a contemporary version of the more labor intensive molcajete (a rough lava stone mortar and pestle) used in Mexican cooking. 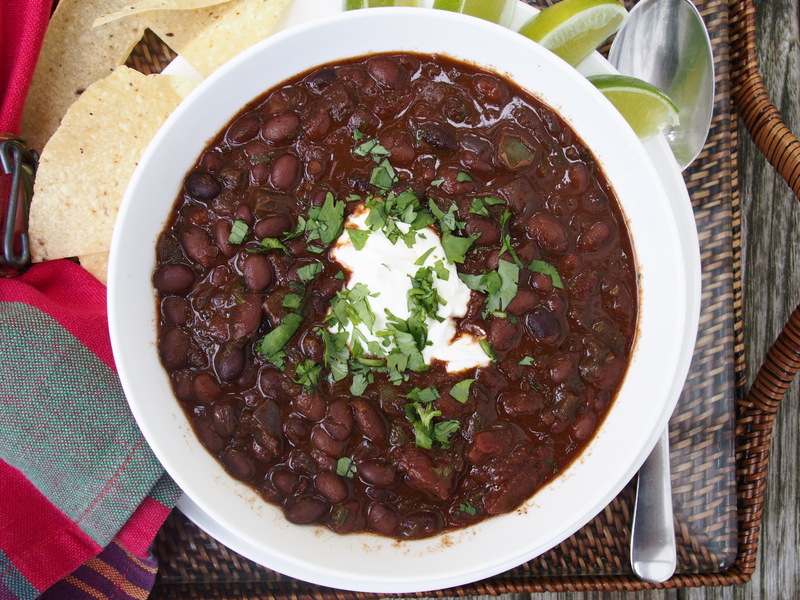 Chili debates persist over issues like whether beans should be served as part of the chili or alongside it. Texans, for the most part, prefer the latter, and may allow no vegetables at all other than chiles in the dish. Some Texans sniff at the use of ground meat rather than cubes of beef. 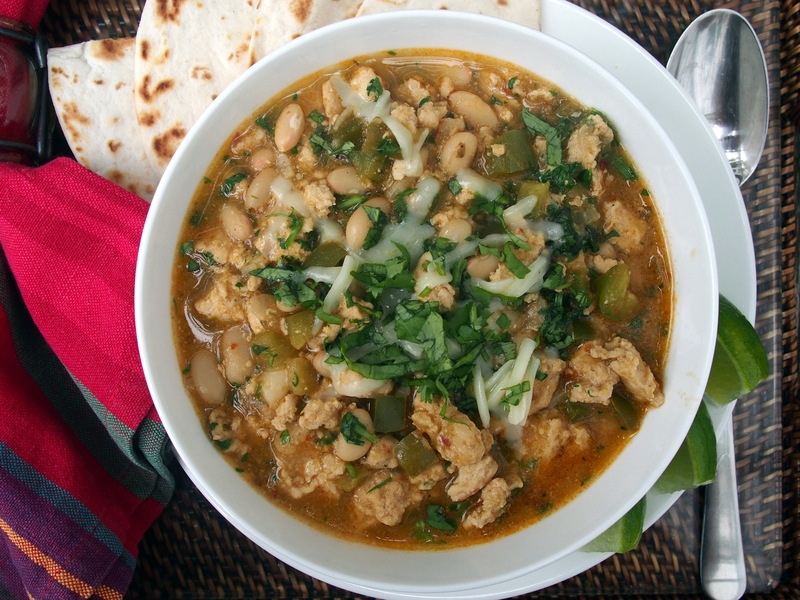 I once read a chili recipe from a Texas matron who described ground meat as something she “might feed her animals, but certainly not her family”; but few refused ground meat during the Depression (by some accounts, beans first went into the chili pot in the 1920s) and, in poorer neighborhoods, beans readily augment, and may entirely replace, the use of meat today. Lady Bird Johnson’s recipe for Pedernales chili , a favorite of Lyndon’s, eliminates beef suet (at doctor’s orders after her husband suffered a heart attack while he was Senate Majority Leader) and adds tomatoes and onions (tomatoes became a common chili ingredient in the 1930s and 40s). 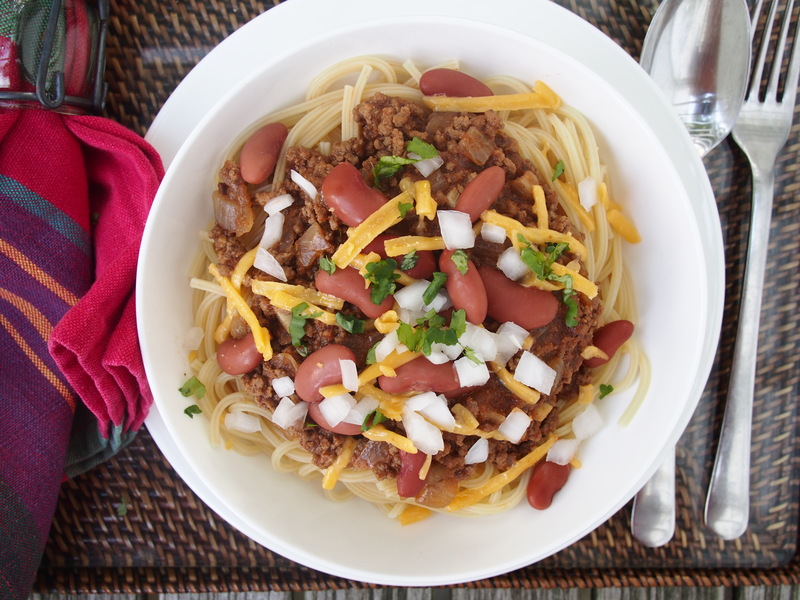 It calls for “beef chuck ground through the chili plate of a meat grinder or cut into ¼ inch dice.” Absent the beans, it is similar to the cowboy chili recipe given here.